Sharing his opinion on the present state of Hindi film music, Tanishk agreed that most Bollywood producers are more welcoming of surefire hits instead of originality and experimentation. Four years since making his Bollywood debut with the chartbuster song, Banno, in Tanu Weds Manu Returns, composer Tanishk Bagchi has established himself as a leading presence in Hindi film music. In 2018, he has contributed popular tracks to films such as Raid, Fanney Khan, Satyameva Jayate, Gold, Loveyatri, Badhaai Ho, KGF: Chapter 1 (Hindi), and Zero. In Rohit Shetty’s upcoming action-entertainer film Simmba — starring Ranveer Singh and Sara Ali Khan — Tanishk has composed three songs: Tere Bin, Aala Re Aala and Aankh Maare, which is a recreation of the 90s smash hit from the Arshad Warsi-starrer Tere Mere Sapne. “Simmba was an opportunity given to me a year back. I was working with Karan Johar a lot, so he recommended my name to Rohit Shetty. Initially, I was asked to compose just the title track (Aala Re Aala), which everyone liked. Later, Aankh Maare was offered to me. I sat with our music supervisor, Azeem Dayani, and came up with five versions of the song. We didn’t like any of them and felt the necessary quirkiness was missing. 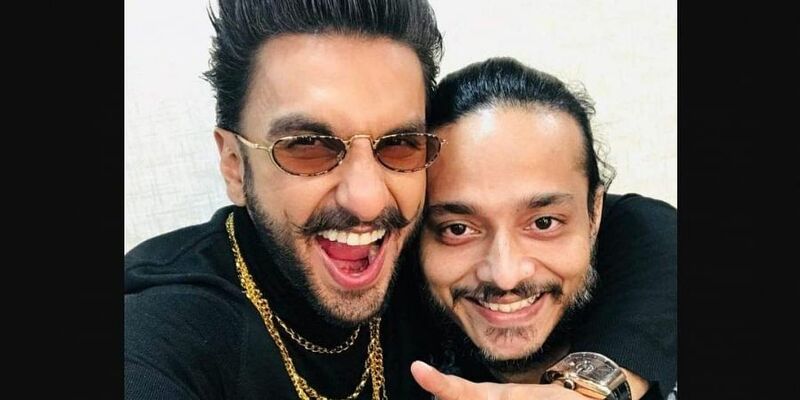 Thus I suggested we use Tusshar Kapoor’s Golmaal voice and also get Kumar Sanu, the original singer, to be a part of the remix,” Tanishk recalls. Speaking of remixes, the composer has to his credit tracks like the Humma song (OK Jaanu), Tamma Tamma (Badrinath Ki Dulhania), Hawa Hawai 2.0 (Tumhari Sulu), Mere Rashke Qamar (Badshaaho) and Dilbar (Satyameva Jayate). Pointing out that there’s a difference between a ‘remix’ and a ‘recreation’, the Kolkata-born composer argues, “I consider myself to be an original music director. Sharing his opinion on the present state of Hindi film music, Tanishk agrees that most Bollywood producers are more welcoming of surefire hits instead of originality and experimentation. “Everyone is looking for a hit song instead of a good song. That’s become the trend everywhere. Earlier, songs used to have their own pulse and expression. Music directors used to be more involved with the film director, since songs and background score were an important part of the narrative. Nowadays, film music is determined by what’s working and what’s not. However, that said, there are composers like Vishal-Shekhar or Amaal Mallik who are doing great original work,” he notes. Co-produced by Dharma Productions and Rohit Shetty Picturez, Simmba is scheduled for release on December 28.